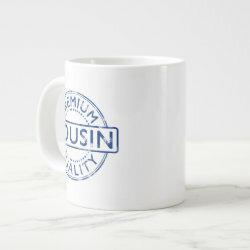 This fun design is made to look like an old-fashioned official ink stamp. 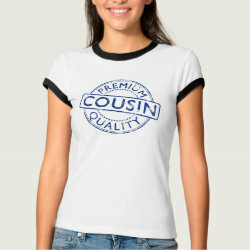 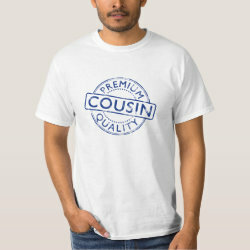 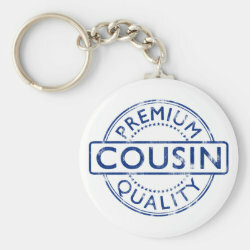 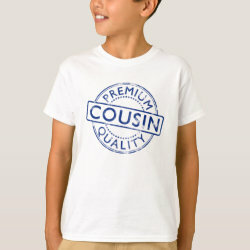 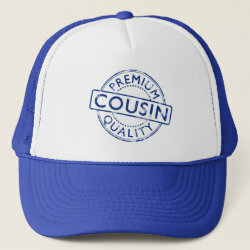 Instead of making a document official, the design here shows the true quality of your favorite cousin! 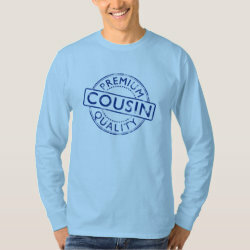 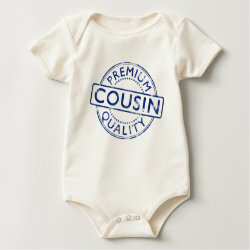 The weathered blue-ink style text reads PREMIUM QUALITY COUSIN for all the world to see! 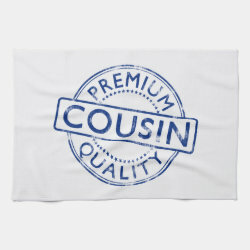 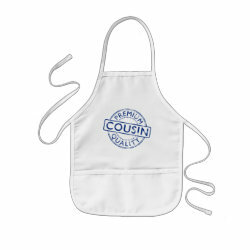 Premium Quality Cousin Kitchen Towel 16" x 24"